Home Spotlight	THE SPOTLIGHT IS ON “KHX’S” KEVIN HARRINGTON THE MAN BEHIND THE MUSIC! THE SPOTLIGHT IS ON “KHX’S” KEVIN HARRINGTON THE MAN BEHIND THE MUSIC! Kevin Harrington is a man who wears many hats, from Song Writer to Composer, Producer to Musician and Musical Director he does it all! But what’s most impressive is, if you don’t know who he is; you should. He is a very humble man and believes “if you succeed at what you set out to do and you do it, then you are successful”. Yet, when he mentions that he’s worked with many legends and artists like the late great Stanley Turrentine or R&B singer Chico Debarge, Teddy Riley, Blue Magic, Kool & The Gang and Freddie Jackson just to name a few, it comes off as a matter of factly and never like he’s bragging. Kevin is an exceptional drummer and with all of his extraordinary talent he’s blessed with, I must say it’s quite impressive. 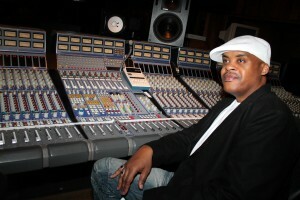 BackBeat R&B was truly honored to have interviewed this musician extraordinaire who keeps an extremely busy schedule. It was a pleasure to speak with Mr. Harrington and get some insight into his musical career. BB: Take us to the beginning, how did you get your start in this business and what motivated you? Kevin: “Being from South Jamaica, there were at least 2 bands on every block, so I came up around just that. You know, I was fortunate to see Marcus Miller and other greats play at block parties. My own family is made up of mostly singers and everyone comes out of the church. Music and sports have always been my thing. So it had come to a point where I was going to do one or the other. You know It’s pretty difficult coming home hurt from playing basketball and playing drums when your arm’ is in a sling. So I had to make a choice. Actually, I started late with music. I was more in tune with sports first! I was on the basketball team when I entered fourth grade. I had an uncle who started me playing all kinds of sports at age 6. Oddly enough his older brother sparked my interest in drums, so that’s how all of that came about”. “Being from Queens, there was so much music. As a kid, drummer Richard Ruiz is who I considered my teacher and mentor. 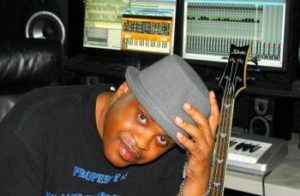 All of the popular guys out now came to his basement, “Najee”,(a Jazz and Smooth Jazz Saxophonist and Flautist) when he was still using his name Jerome, Marcus Miller and many more that I got to watch had become such an inspiration for me. It’s funny when I run into them now, I have to tell them, I was that kid in the basement with Richards younger brother Victor, you all would thump on the head and tell us to go upstairs. Then we just start laughing and they would say “I remember you”. It was a great time in my life because the music was everywhere, as far as production, I started much later”. BB: How long would you say it took you to excel in your career? Kevin: ” I think it depends on the person and what level they are looking for to excel. In my case, I left the country for the first time to perform with jazz flutist Sherry Winston at age18. In High School my friend Steve Anderson,( bass player) we ended up playing together with “Blue Magic”, we both started in neighborhood bands. We use to sit in class and talk about different things we wanted to do. When we were in our early twenties and playing at Newark’s Symphony Hall with “Blue Magic”. I reminded him of when we would sit in class and talk about getting to this point. My thing is, if you set a goal for yourself and you accomplish what you set out to do then you are successful. The system will tell you differently! BB: Is there a favorite Artist you love to work with? Kevin: I would have to say” Nona Hendryx ” is a favorite of mine, Freddie Jackson. I mean, I like everybody but she was always one of my favorites! In the last decade “The Harlem Gospel Singers”, and I loved playing drums on “Rhonda Ross”,(Diana Ross’s daughter) latest CD I also liked working with “Special EFX”, interesting story about that is, I did a show without a rehearsal, Bass player Jerry Brooks recommended me to sub for the drummer, I didn’t even meet “Chieli Minucci” until the day of the show which was in Philadelphia and at that time I was living in New York. I know he was nervous. It turned out to be a great show. BB: How did you stay cool, calm and collective, most people would have been very nervous? Kevin: It’s funny because I came up like that, in the days of the band thing, you would just play and learn the music by ear. They sent me an audio and that’s the way I’d learn, so on the way to the shows, I would be learning the music. I started to get a reputation for that, it wasn’t my favorite thing, but I have been known to pull it off. After a while, the pressure does get to you! Lol! That’s one of my favorite stories to tell because it wasn’t so much that I was nervous but “Chieli” was. BB: You have been very busy the last couple of years with “KHX”, KN Jamz Entertainment producing and releasing music. Do you have a favorite musical project that you’ve worked on and what’s in store for the future? Kevin: Well, “KHX” is my personal project, so I am doing things for myself, some of them would be alias names that would fall under that KHX umbrella like I have some groups that are really not groups, producers release names with no groups all the time, it’s just like I want to do EDM music but I have to do it under another name. My first project “Bass Rhodes & Groove Vol l” is basically the stuff that I like to do, so that will always be eclectic like that, just different volumes. Everything else will be genre specific from house music to smooth Jazz, EDM to Gospel R&B to Hip Hop, Dubstep, etc. BB: What was it like working with greats like “Stanley Turrentine”, “Chico Debarge” or ” Freddie Jackson”(of course you worked with many others)? Kevin: “I appreciated it! For me, it’s a blessing but that was my goal. Everybody doesn’t always get to do that, so I don’t take it for granted. Just because it’s what you set out to do doesn’t mean it’s going to happen. Stanley Turrentine is a legend and from a musician’s point of view we look at each other as musicians, working with him, you respect him but, he’d talked to you like any other musician. It was like” I got my opportunity and it worked for me”. He looked at you no different, you all can do this too! Even if you’ve never heard of me, I would’ve still been playing. That was his vibe. I have sat down and talked with Joe Sample, BB.King and one of my favorites Miles Davis, they had struggles too! Wish I was into taking pictures back then so many people are gone now. I was the musical director for Freddie Jackson he was a great person to work with and Chico Debarge was one of the coolest. BB: Are you touring with a Band and how do you incorporate the production process when working with an Artist? Kevin: Well, for me with KHX, the process is getting started ( possible dates are in the works). Basically, I’ve always played with somebody else, the thing about touring is: if you are working with someone else then you have to stop the production part because when you are away, the back and forth, for me it’s hard. You have to be able to put in a lot of time with the Artist. So for now, I am producing and writing for a company called “Flag Entertainment Group”, I’m promoting my project, working on new projects with my KN Jamz Entertainment partner Nancy Marie(exec producer of Bass Rhodes & Groove) while doing their Artists which will be dropping early 2018. ALEX HAN MORE THEN A JAZZ ARTIST, HE’S A FUTURE JAZZ LEGEND! JEFFREY OSBORNE, SMOOTH, COOL & SUAVE !